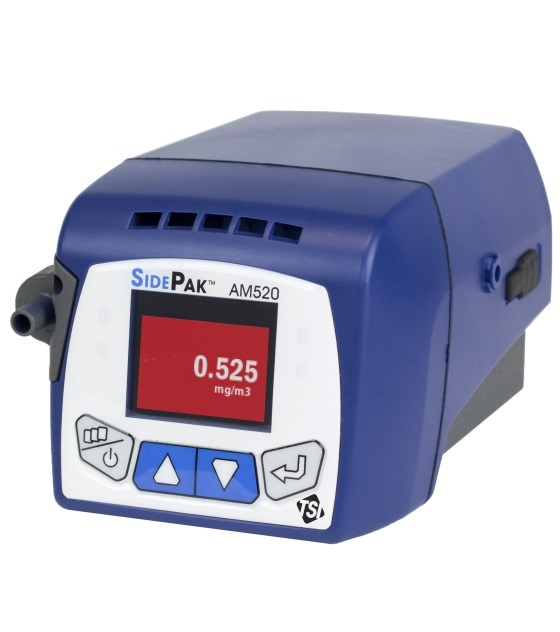 The TSI AM520 SidePak Personal Aerosol Monitor is a small, portable, battery-operated, data-logging, light-scattering laser photometer that provides real-time aerosol mass concentration readings of dusts, fumes, mists, smoke and fog within a worker breathing zone. Robust impactors for higher mass concentration range---MORE THAN EVER BEFORE! Audible and visual alarms---THAT CAN TRULY BE SEEN AND HEARD! 0.8 µm DPM impactor---THE FIRST OF ITS KIND! Newly designed inlet conditioners increase the mass concentration capability and provide size fraction cut points for PM 10 , PM 4 (Respirable), PM 5 (China Respirable), PM 2.5 , PM 1 and 0.8 µm Diesel Particulate Matter (DPM). 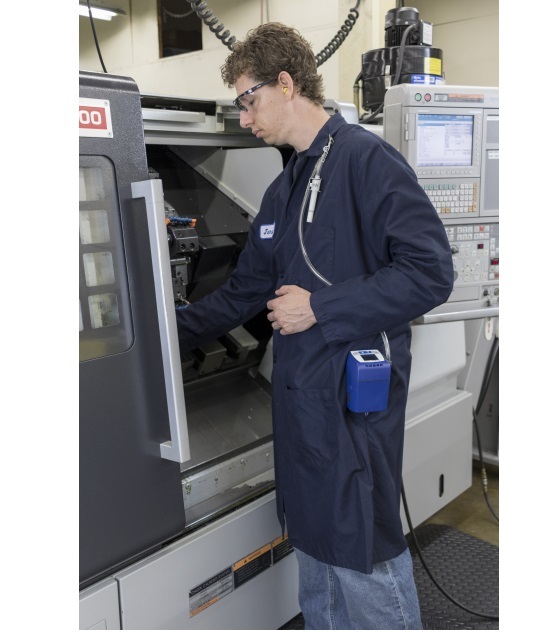 This monitor is the perfect solution for real-time, personal aerosol sampling in a variety of workplace environments, including but not limited to general industry, foundries, construction sites, chemical plants, refineries, petrochemical, power and utilities, transportation, aerospace, maritime, confined spaces and mining. • High capacity battery---ENABLING 20+ HOURS OF CONTINUOUS OPERATION TO ENSURE ULTIMATE FLEXIBILITY! 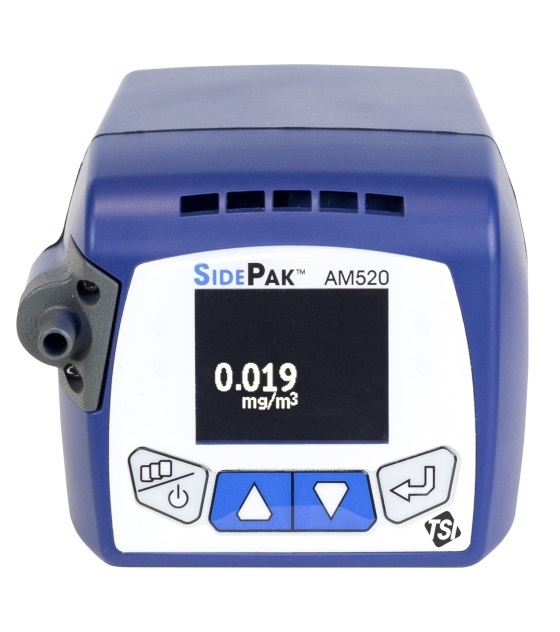 AM520	Includes: x1, 5400 mAH Li-Ion rechargeable Battery Pack, Carrying Case; Universal Power Supply (US, Euro, UK and Australian adapters); x1, Zero Filter; x1, Door Oliver Cyclone Kit with U-Tube and 3 ft/1 m Tygon Tubing; x1, Impactor Kit (with x1, each of PM1/PM2.5/PM5/PM10/Nondescript inlets) with bottle of impactor oil, x3, impactor disks and x1, impactor replacement gasket; x1, 0.8 µm DPM Cyclone; x1, USB Cable; x1, #2 Philips Head Screwdriver; x1, User Manual; x1, Quick Start Guide; Calibration Certificate and 2-Year Limited Warranty. 803302	AC Adaptor with Universal Plug Set; SidePak AM520/AM520i.